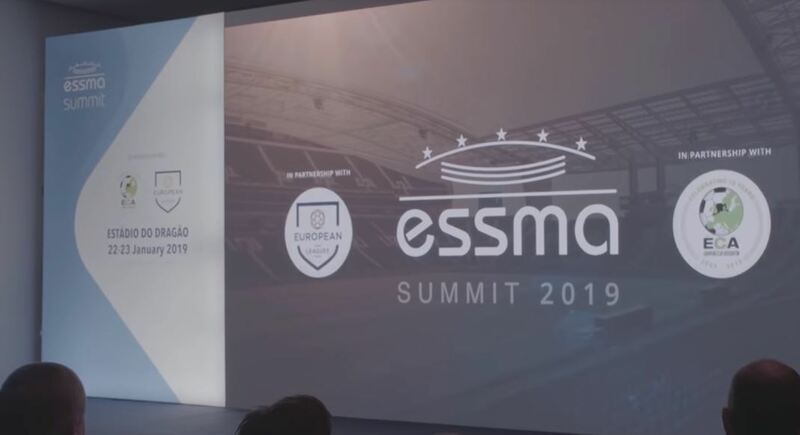 Estádio do Dragão was chosen to host the International Summit for Stadium Management, Development and Safety, organized by ESSMA. The blue and white home greeted about 400 participants on January 22 and 23, on the fifth edition of the event. “Welcoming you here, in our stadium, only shows that we are still ahead in terms of technologies. The feedback we got was excellent. Both the organization and the participants congratulated us, for the event and for the current condition of the stadium”, Teresa Santos Responsible for the Quality and Environment of FC Porto. The event was divided in eight seminars, with diversified panels about different subjects. Despite the 15 years since the opening, Estádio do Dragão was highly praised, not just in terms of technology, but also in the safety of their fans, which puts FC Porto at the highest level of European football. “We all know that FC Porto built a gorgeous stadium when preparing the EURO 2004. If we look at the legacy and at what it brought to FC Porto, one of the biggest clubs in Europe, this is one of the best examples we wanted to show the European industry. On the other end, FC Porto wanted to prepare for the final of the Nations League and for other European competitions they may host”, Dimitri Huygen, Managing Director of ESSMA, stated. Herrera: "This is our last chance to keep dreaming"